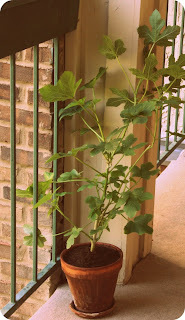 It was long overdue to transfer my okra plants to bigger pots. Also I had too many plants in one pot and this was hindering in their harvest. The okras would dry out before full growth. So this is what I needed - new pots, potting soil, trowel, shears, and plastic/paper as a spreader. This old pot has 4 plants that have grown way too big for this pot. 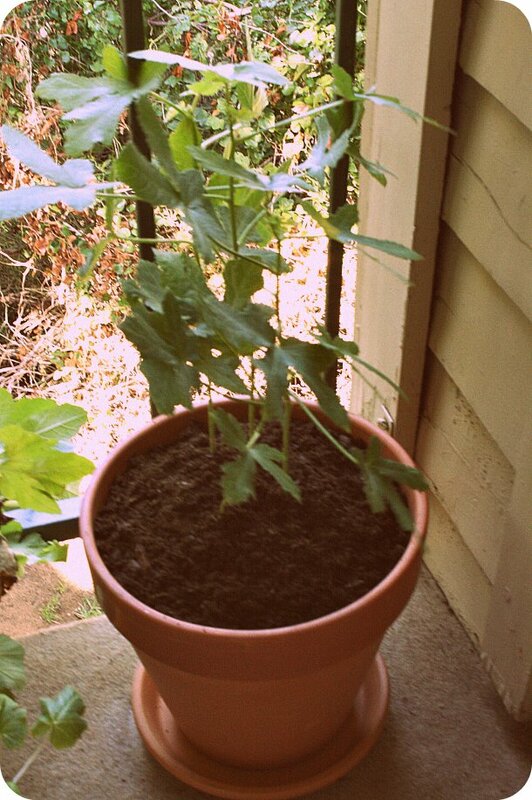 I will be transferring two of the plants in the new pot. Make sure everything is on the paper/plastic so that there is no wastage of the soil. 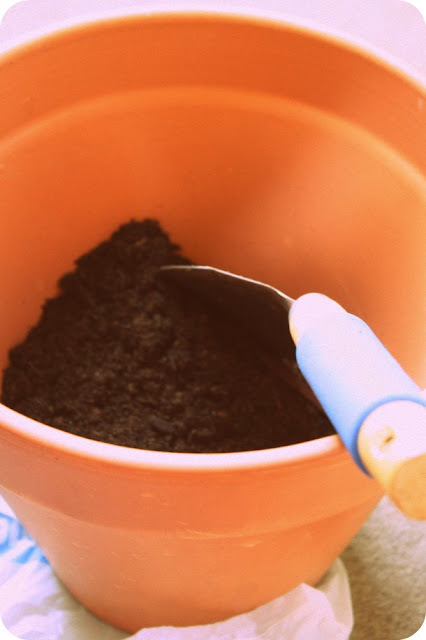 Scoop some soil into the new pot with the trowel before you start to bring the plant it. 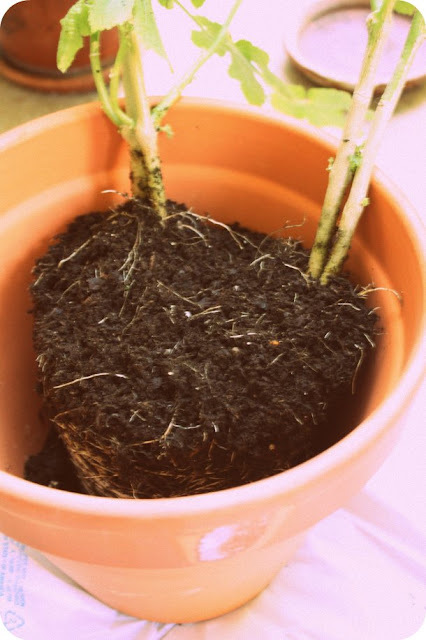 Break the old soil and also separate the plants at the same time. This will cause some of the smaller roots to tear but that is okay. Use your hands to do this. 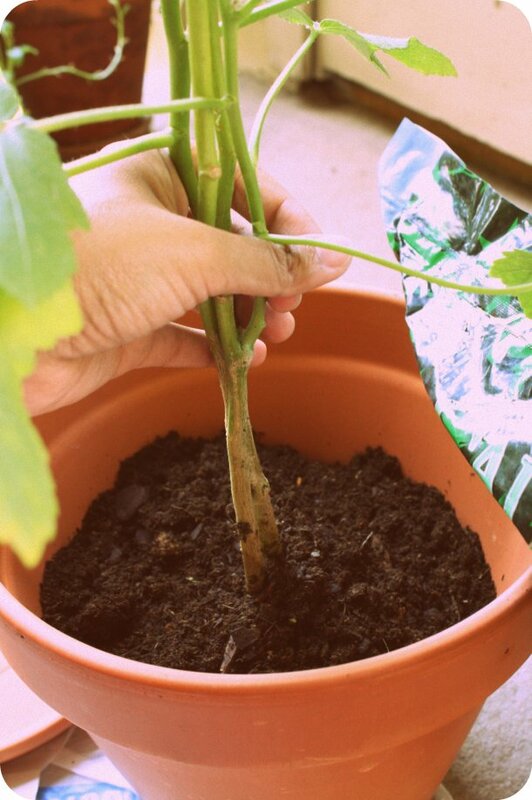 Now place the plant in the center and start scooping more soil around it and fill up the pot. Here is the new pot and the old pot with the transferred plants. This pot has way too many plants that are not able to grow because of being too crowded. 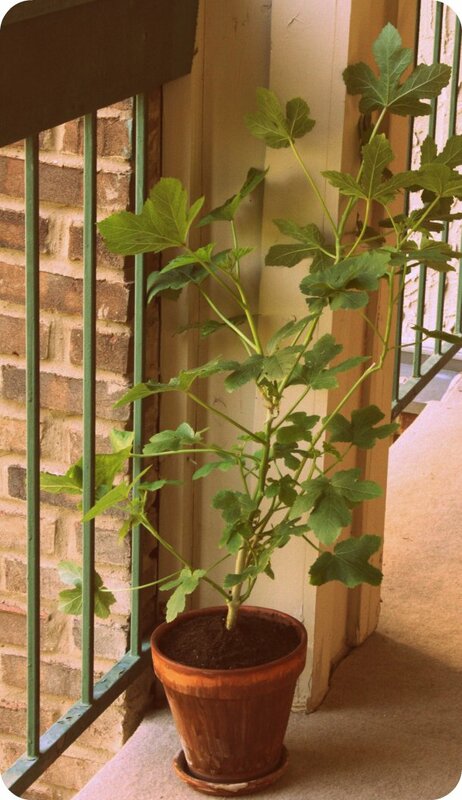 These plants are smaller and can easily be pulled from the soil. This is the other new pot with four of the transferred plants. 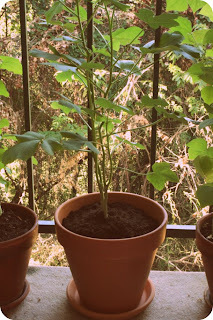 Do not push in the soil on the top with your hands to hold the plant. If you do then there will be no oxygen passing into the soil. This is why it is recommended to poke the soil now and then with a trowel. At this time you can also add any fertilizer/compost that you want to feed your plants.